GREENS hate individual freedom and private property. They dream of a centralised unelected global government, financed by taxes on developed nations and controlled by all the tentacles of the UN. No longer is real pollution of our environment the main Green concern. The key slogan of the Green religion is “sustainable development”, with them defining what is sustainable. ANTHROPOGENIC “climate change”, and the control of carbon dioxide (energy) has deep roots in a radical, yet gravely misguided campaign to reduce the world’s population. GLOBAL Warming aka Climate Change has little to do with the “environment” or “saving the planet”. Rather, its roots lie in a misanthropic agenda engineered by the environmental movement in the mid 1970’s, who realised that doing something about “Global Warming” would play to quite a number of the Lefts social agendas. “Current lifestyles and consumption patterns of the affluent middle class – involving high meat intake, use of fossil fuels, appliances, air-conditioning, and suburban housing – are not sustainable.” – Maurice Strong, Secretary General of the UN’s Earth Summit, 1992. The “zero-emissions” zealots want to force us backwards down the energy ladder to the days of human, animal and solar power. They oppose the main thing that sets us apart from all other species – the use of fire from explosives, coal, oil, gas or nuclear power. They have yet to explain how our massive fleet of planes, trains, tractors, harvesters, trucks, road trains, container-ships and submarines will be powered and lubricated by windmills, treadmills, windlasses, solar energy, distilled whiskey and water wheels. Western nations, driven by a global agenda of climate alarmism, are destroying their profitable industries with carbon taxes; and their promotion of expensive, intermittent green energy is pushing us back down the energy ladder; and our competitors in Asia are climbing the energy ladder as quickly as they can. At the same time, the enormous waste of public money on government promotion of the climate industry has created a global fiscal mess. Unless reversed, this wasteful de-energising policy will drive much of the world’s population back to the poverty and famines which often prevailed in the past. Some see the inevitable de-population this would cause as a desirable goal. Electricity prices declined for forty years. Obviously that had to stop. Today all the hard-won masterful efficiency gains of the fifties, sixties and seventies have effectively been reversed in full. For most of the 20th Century the Australian grid was hotch potch of separate state grids and mini grids. (South Australia was only connected in 1990). In 1998 the NEM (National Energy Market) began, a feat that finally made bad management possible on a large scale. Though after decades of efficiency gains, Australians would have to wait years to see new higher “world leading” prices. For the first years of the NEM prices stayed around $30/MWh. But sooner or later a national system is a sitting duck for one small mind to come along and truly muck things up. Please spread this graph far and wide. Thanks to a Dr Michael Crawford who did the original, excellent graph. German Pols Now Demanding Energy Welfare For Its Citizens – 800,000 Have Had Their Electricity Cut Off! ANTHROPOGENIC “climate change” and the control of carbon dioxide, via the supply of energy, has deep roots in a radical yet gravely misguided campaign to reduce the world’s population. 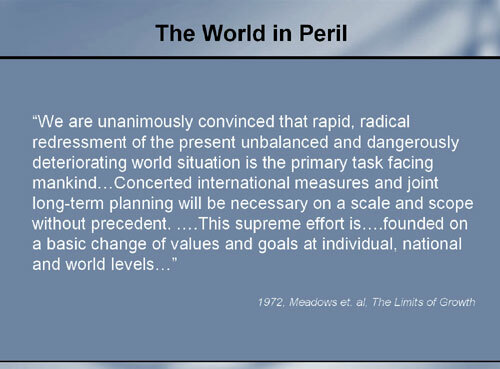 A misanthropic agenda engineered by the environmental movement in the mid 1970’s, who realised that doing something about “global warming” would play to quite a number of its social agendas. THE goal was advanced, most notably, by The Club Of Rome (Environmental think-tank and consultants to the UN) – a group of mainly European scientists and academics, who used computer modelling to warn that the world would run out of finite resources if population growth were left unchecked. SO, it comes as no surprise that today’s UN is successfully upholding its misanthropic agenda by attempting to starve control the world’s population through a blatant misallocation of resources, in favour of wanting to control the weather, rather than feed the most needy, for a fraction of the cost. MEMO to the UN – If you want to reduce the world’s population, provide the third-world with cheap, reliable fossil-fuelled or nuclear power generation to lift them out of abject poverty. Wealthy (fossil-fuel/nuclear powered) nations have predominant negative birth rates. Poverty is the enemy of the environment. For more than a decade, annual data showed global hunger to be on the decline. But that has changed. According to the latest data from the UN’s Food and Agriculture Organisation, hunger affected 815 million people in 2016, 38 million more than the year before, and malnutrition is now threatening millions. Research from my think tank, Copenhagen Consensus, has long helped to focus attention and resources on the most effective responses to malnutrition, both globally and in countries such as Haiti and Bangladesh. Unfortunately, there are worrying signs that the global response may be headed in the wrong direction. The FAO blames the rise in hunger on a proliferation of violent conflicts and “climate-related shocks”. which means specific, extreme events such as floods and droughts. It may seem like a tiny step to go from blaming climate-related shocks to blaming climate change. Both terms relate to the weather. But that little difference means a lot, especially when it comes to the most important question: how do we help to better feed the world? Jumping the gun and blaming climate change for today’s crises attracts attention, but it makes us focus on the costliest and least effective responses. The best evidence comes from the UN’s Intergovernmental Panel on Climate Change, which has clearly shown that there has been no overall increase in droughts. While some parts of the world are experiencing more and worse droughts, others are experiencing fewer and lighter droughts. A comprehensive study in the journal Naturedemonstrates that, since 1982, incidents of all categories of drought, from “abnormally dry” to “exceptional drought”, have decreased slightly. On flooding, the IPCC is even blunter: it has “low confidence” at a global level about whether climate change has caused more or less flooding. What the IPCC tells us is that by the end of the century, it is likely that worse droughts will affect some parts of the world. And it predicts — albeit with low confidence — that there could be more floods in some places. Relying on climate policies to fight hunger is doomed. Any realistic carbon cuts will be expensive and have virtually no impact on climate by the end of the century. The Paris climate agreement, even if fully implemented up to 2030, would achieve just 1 per cent of the cuts needed to keep temperature from rising more than 2C, according to the UN. And it would cost $US 1 trillion a year or more — an incredibly expensive way to make no meaningful difference to a potential increase in flooding and droughts at the end of the century. In fact, well-intentioned policies to combat global warming could very well be exacerbating hunger. Rich countries have embraced biofuels — energy derived from plants — to reduce their reliance on fossil fuels. But the climate benefit is negligible: according to the International Institute for Sustainable Development, deforestation, fertiliser, and fossil fuels used in producing biofuels offset about 90 per cent of the “saved” carbon dioxide. In 2013, European biofuels used enough land to feed 100 million people, and the US program even more. Biofuel subsidies contributed to rising food prices, and their swift growth was reined in only when models showed that up to another 135 million people could starve by 2020. But that means that the hunger of around 30 million people today can likely be attributed to these bad policies. Moreover, climate policies divert resources from measures that directly reduce hunger. Our priorities seem skewed when climate policies promising a minuscule temperature impact will cost $US1 trillion a year, while the World Food Program’s budget is 169 times lower, at $5.9 billion. There are effective ways to produce more food. One of the best, as Copenhagen Consensus research has shown, is to get serious about investing in research and development to boost agricultural productivity. Through irrigation, fertiliser, pesticides, and plant breeding, the Green Revolution increased world grain production by an astonishing 250 per cent between 1950 and 1984, raising the calorie intake of the world’s poorest people and averting severe famines. We need to build on this progress. Investing an additional $US88bn in agricultural research and development over the next 32 years would increase yields by an additional 0.4 percentage points every year, which could save 79 million people from hunger and prevent five million cases of child malnourishment. This would be worth almost $US3 trillion in social good, implying an enormous return of $US34 for every dollar spent. By the end of the century, the additional increase in agricultural productivity would be far greater than the damage to agricultural productivity suggested by even the worst-case scenarios of the effects of global warming. And there would be additional benefits: the World Bank has found that productivity growth in agriculture can be up to four times more effective in reducing poverty than productivity growth in other sectors. We are at a turning point. After achieving dramatic gains against hunger and famine, we run the risk of backsliding, owing to poorly considered choices. The stakes are far too high for us to pick the wrong policies. Bjorn Lomborg is director of the Copenhagen Consensus Centre and a visiting professor at the Copenhagen Business School. Overpopulation: The Fallacy Behind The Fallacy Of Global Warming | Watts Up With That? You presumably don’t understand how life was “nasty, brutish and short” before them — and still is for the tens of millions of people today who don’t have access to the electricity they can provide. The combination of wild-eyed religious belief and both complete denial of fact and total disconnect from reality that is so characteristic of climate change true believers was perfectly displayed by The Age’s theology — correction, supposed economics — editor Peter Martin on Sunday. He started off by claiming “Abbott” — presumably, the Prime Minister — “doesn’t like power stations”. Well Peter, I — and I suggest the PM — for one do. I like flicking a switch and getting light and heat and power all the other things they provide cleanly, efficiently and safely. The Yellow Brick Road to Climate Change Like Dorothy, Lion, Tin Man and Scarecrow in The Wizard of Oz, we’ve all been dancing down the Yellow Brick Road of “settled science” in search of answers from the Emerald City, only to find that what we suspected all along — the Wizard has been telling us fibs. But who exactly is the Wizard? And where did this seeming-madness all begin? “Undoubtedly there are many “wizards”, but the man behind the green curtain, the man who managed to get the climate industry to where it is today is a mild mannered character by the name of Maurice Strong. 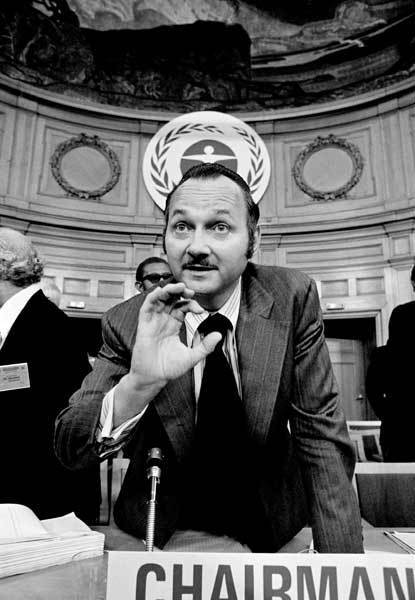 The whole climate change business, and it is a business, started with Mr Strong.” Maurice Strong, a self-confessed socialist, was the man who put the United Nations into the environmental business, being the shadowy-figure behind the UN secretaries general from U Thant to Kofi Annan. His reign of influence in world affairs lasted from 1962 to 2005. Strong has been variously called “the international man of mystery”, the “new guy in your future” and “a very dangerous ideologue”. Strong made his fortune in the oil and energy business running companies such as Petro Canada, Power Corporation, CalTex Africa, Hydro Canada, the Colorado Land and Cattle Company, Ajax Petroleum, Canadian Industrial Oil and Gas— to name just a few.His private interests always seemed to be in conflict with his public persona and his work on the world stage. Strong’s extensive range of contacts within the power brokers of the world was exceptional. One admirer christened him “the Michelangelo of networking”. Maurice Strong described himself as “a socialist in ideology, a capitalist in methodology”. In 1972 he organised for U Thant the first Earth Summit, The Stockholm Conference on the Human Environment. This led to the formation of UN Environment Program with Maurice Strong at its head. Later, as the UNEP boss he organised the first international expert group meeting on climate change. This led to exotic UN sponsored organizations such at Earth Council and Earth Charter, The World Resources Institute, the World Wildlife Fund and later The Commission for World Governance and the UN’s University for Peace. Strong was the driving force behind the idea of world governance by the United Nations when he dreamt up a world tax on monetary transactions of 0.5% which would have given theUN an annual income of $1.5 trillion. About equal then to the income of the USA. The stumbling block was the Security Council, and their power of veto. He devised a plan to get rid of the Security Council but failed to get it implemented. Then came along the idea that global warming might just be the device to get his World Governance proposal up and running. Almost every aspect of the Intergovernmental Panel on Climate Change (IPCC) work is manipulated, selected, and controlled, to prove human CO2 is causing global warming. The objective was to prove the hypothesis, not to perform objective science. 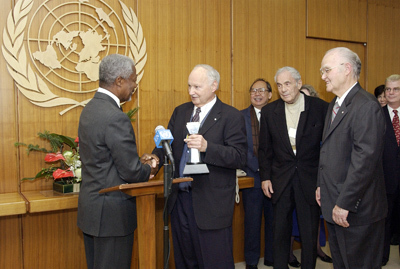 The goal was established by the Club of Rome whose member, Maurice Strong transmitted and translated it into world government policy through the United Nations. He was assisted by politicians like Al Gore and Tim Wirth. In 1993 the latter did not hide the naked political objective. They were aided by national weather agencies and bureaucratic scientists with similar political persuasions appointed to the IPCC. All the CO2 numbers used by the IPCC are very poor estimates and designed to underline the human impact. They are meaningless figures from the total volumes to the annual flows and the human inputs as depicted in the IPCC carbon cycle (diagram). Human CO2 production is central to the IPCC objective so they control production of the information. Like most things they do it is disclosed, but they know few people realize the significance. Here they explain the process. Sustainable Development, is an anti-liberty movement with political goals, that is advancing the cause of a UN, socialistic, eco-utopian, New World Order while being largely portrayed as altruistic. Today, Maurice Strong sits atop the global environmental movement headed by the United Nations and its interlocking NGO’s and tax-exempt foundations. Strong is considered to be the person behind the globalization of the foundation-funded environmental movement, and was the Secretary-General of the United Nations Conference on the Human Environment held in 1972, in Stockholm, Sweden. Strong was recruited by David Rockefeller at the age of 17 and groomed for the role he serves today. Despite not having a college education, he was a millionaire by his early 20’s and wielded enormous power and influence. Already in 1972, at the time of this interview, there is talk of doomsday scenarios if people don’t give up their rights and drastically alter the way they live. Also mentioned in the interview is zero growth, put forward by the Club of Rome in the late 60’s/early 70’s, which called for the control of population and economic growth, and was the precursor to what we see happening today with the US economy and infrastructure being gutted and sent overseas. In this interview clip Strong discusses his proposal of licenses in order for women to give birth, which has been of much talk among the elite for the past several decades. In the 70’s, David Rockefeller extended his praise to communist dictator of China, Mao Zedong, in an article published in the New York Times, for his country’s one-child policy, which will be the model for the Western nations to follow in the future — hence China’s “Most Favored Nation” status granted by the UN. if you want to know about maurice then its all here..the grandpa of the global warming religion..hes got dodgy form at the UN..a total globalist shill..his fingerprints are over most things to do with sustainability and global governance..
International Man of Mystery: Who Is Maurice Strong? AUDIO: Australian politician Ann Bressington warning about the United Nations plans for sustainability.